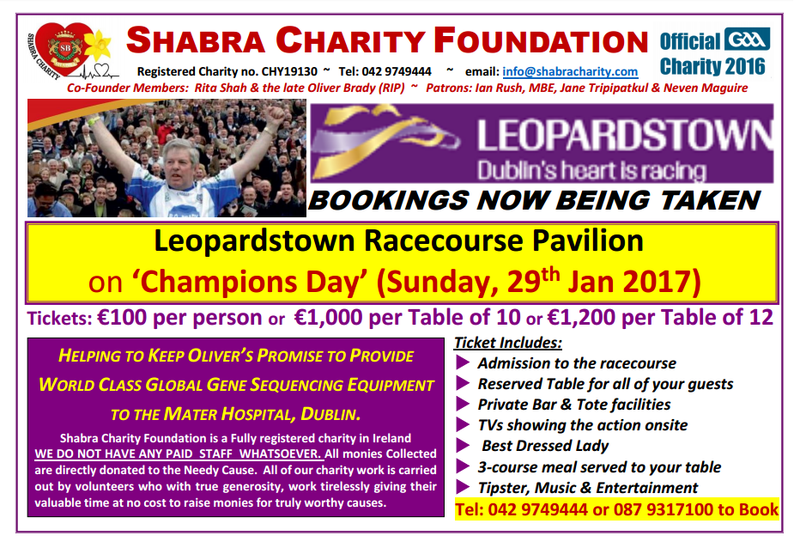 Shabra Charity Foundation are pleased to announce the Leopardstown Racecourse Pavilion on ‘Champions Day’ on Sunday 29th January 2017. Tickets are €100 per person.. 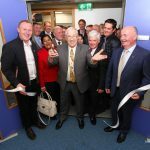 Admission to the racecoure, Reserved table for all of your guests, private bar & tote facilities, TVs showing the action onsite, Best Dressed Lady, 3-course meal served to your table, tipster, music & entertainment. All proceeds go to helping to ‘Keep Oliver’s Promise@ to provide world class global Gene Sequencing Equipment to the Mater Hospital, Dublin. To book your table call: 042 9749444 or 087 9317100.